Each group has a facilitator who guides the group on the journey of spiritual exploration. Contact the UUWaco: info@uuwaco.org or 254.307.2001. Listening: Deep listening is a gift for both the speaker and the listener. A connection forms when we share and give this gift to each other. Ministry happens in the meetings, which focus on spiritual, religious, or social justice topics through a process of deep listening and service projects. Topics that may be shared during meetings include: sacred places, perfection, community, living simply, music, healing, current events, social justice/action, and more. Groups choose their own order, direction and pace. 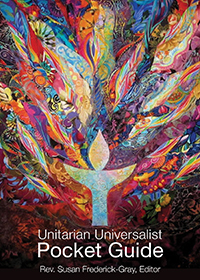 UUWaco expects group members to commit to regular meeting times and to practice deep listening. Deep listening focuses intently on what another person is saying without interruption or simultaneously formulating a response. Deep listening also gives an individual an opportunity to speak without interruption or comment. Topic/Discussion: The facilitator presents questions that will elicit thoughtful discussion and significant reflection. A group may stay with a topic several weeks or be done in one evening.